What would you call a bona fide, card-carrying senior citizen, who still loves good old rock and roll and a day on the golf course? I’d call him a cool dude! Well, this cool senior citizen’s best friends (a lovely couple from Ontario) wanted to give him a special card for his 65th birthday. 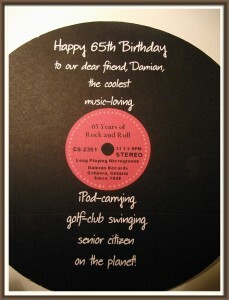 They wanted the card to be reflective of his love of rock and roll and his passion for golf. When I was offered the challenge, I accepted, gladly! 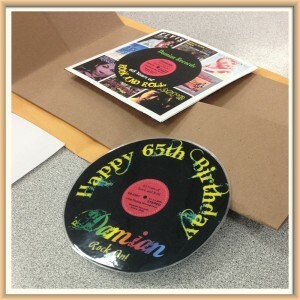 I decided to create a card in that looked like a record album–you can see it in this photo. 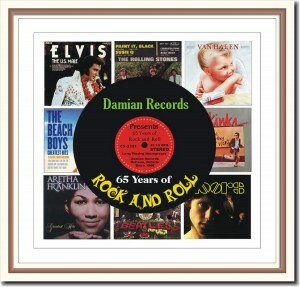 The birthday boy’s name is Damian, so that’s what I named the record label. Check out the close-up, below. It’s not the greatest photo, but you’ll get the idea. I was happy with the record, but I really wanted it to look like vinyl. 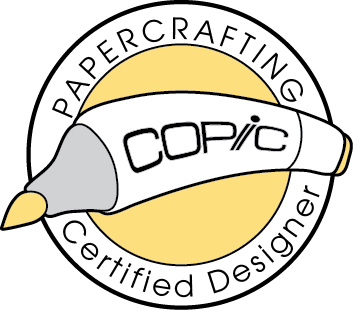 So, off I went to Staples to have it laminated. For the small cost of $3, I got the record laminated in 10 mil vinyl–that’s strong enough so that it doesn’t flop around, and feels about as sturdy as a real record. 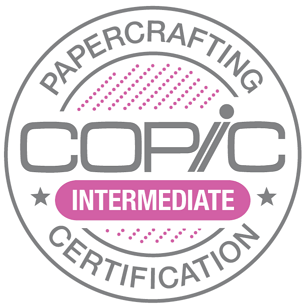 I had to trim around the outside of the record, because laminating sheets are square. But, I think it turned out pretty good. 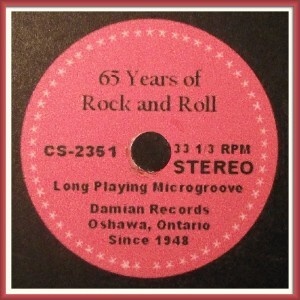 Here is the laminated record. I took this photo right on the counter at Staples and then headed off to the post office. In the background, you can see the album cover. 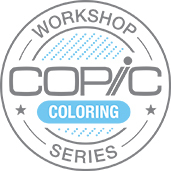 I designed it entirely on my computer using CorelDraw. I did a search on “album covers” and then sized them to 2.5″ each. Right in the middle, I added a photo of the album so that Damian would see right away that this was a special creation, just for him. Here’s a better photo of the front of the album cover. 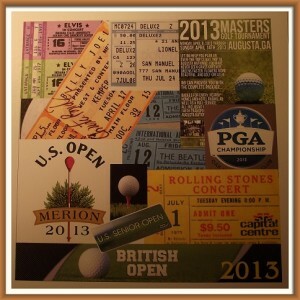 On the back of the album cover, I created a collage of vintage concert tickets and, in keeping with Damian’s passion for golf, I included tags from the four big golf tournaments–the U.S. Open, the PGA, the Masters and the British Open. 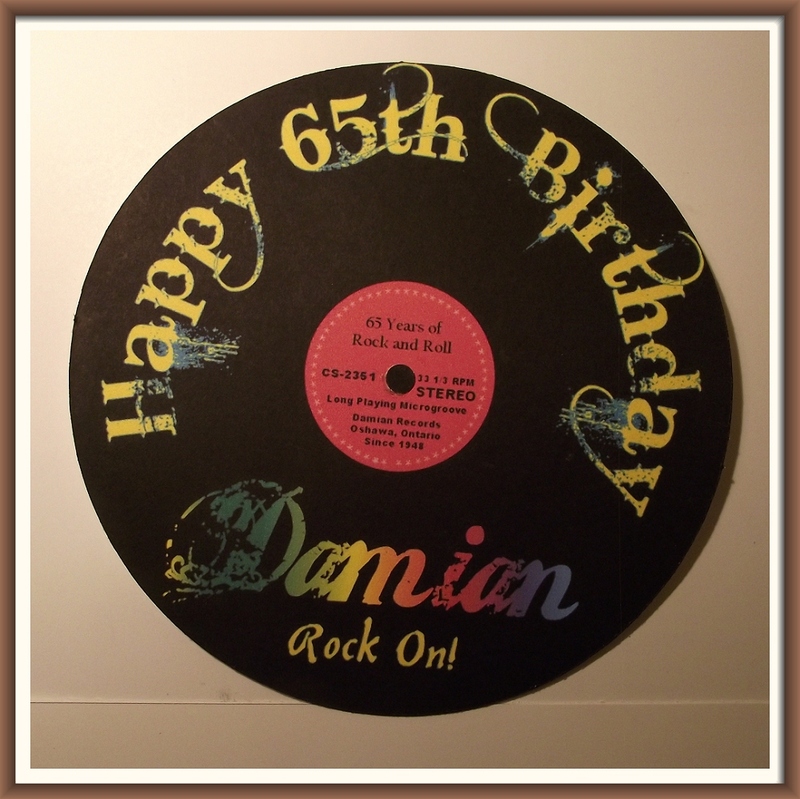 I used the tags for 2013 to mark the year of Damian’s 65th birthday. Damian’s big celebration is next week, and I really hope he loves his unique hand-crafted card. 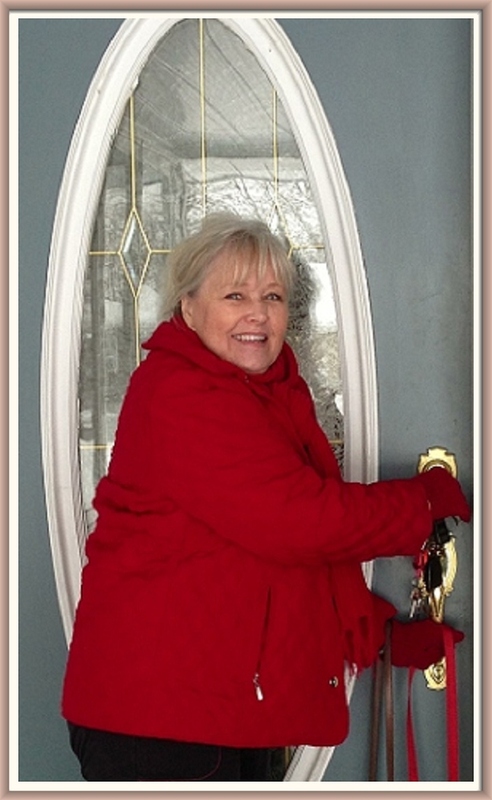 I hope you enjoyed this post, and if you have any creative card ideas that you would like to share with other card-makers, let me know and I will feature you and your card in an upcoming post.